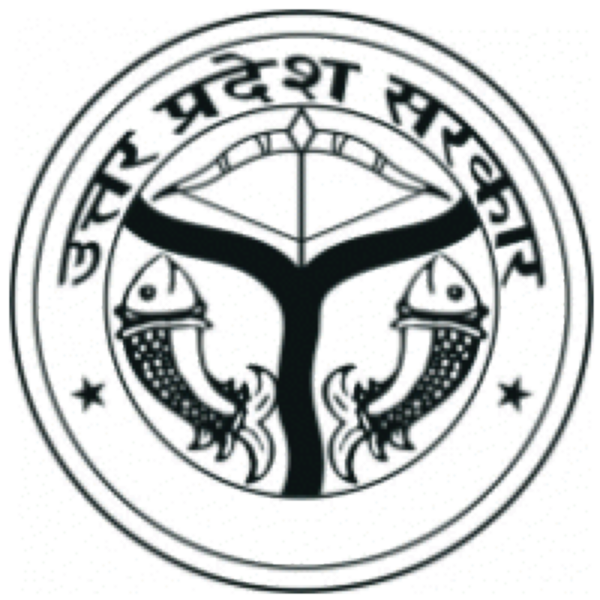 The present Kaushambi district was carved out of Allahabad district on 4th April 1997. The District Headquarter, Manjhanpur is situated in the south-west of the Allahabad on the north bank of the Yamuna river,about 55 km away from Allahabad. It is surrounded by the districts Chitrakoot in the south, Pratapgarh in the north, Allahabad in the east & Fatehpur in the west. However the area occupied by this district has a very glorious past. In Ancient India, Hundreds of years before the christ born, Kaushambi was the capital of Chedi-vatsa janapada, one of the prominent janapadas into which the Indo-Aryan people were divided. As some of these janapadas figure prominently in the Brahmanas and Upanisads, it is not unlikely that the antiquity of Kaushambi goes back to the period of the Brahamanas. The Satapatha Brahamana mentions a person called Proti Kaushambeya, a native of Kaushambi. This hoary antiquity of the city is confirmed by the Mahabharata and the Ramayana, the former ascribing its foundation to Kusamba, the third son of the Chedi King Uparica Vasu and the latter to Kusamba, the son of Kusa. According to the Paramatthajyotika, the commentary on the Suttanipata, Kaushambi was the hermitage of the sage Kosamba, after whom it came to be known by that name. Buddhaghosa records that Kausambi was so named because in course of founding the city, a large number of Kusamba trees were uprooted. Buddhaghosa seems to echo a tradition also known to the Jainas, though in a slightly different version. According to the Jain Vividha-tirthe-kalpa Kaushambi was so called because it abounded in Kusamba trees. According to the Puranas, Nicaksu, the sixth in line from Pariksita, transferred his capital from Hastinapura to Kaushambi, as Hastinapura was ravaged by flood, invasion of locusts and upheavals in the Kuru family itself. Evidently, according to the legend, the city of Kaushambi was important enough to be selected as the new capital of the scion of the Pandavas. The legend, thus corroborates the antiquity of the city as recorded in the Brahmanas, Mahabharata and Ramayana. During Buddha’s time Kaushambi was one of the six most important and prosperous towns of India. It was a nerve center of ancient Indian communications as the principal routes from north to south and east to west met at the city. It was a terminus of river traffic and an important emporium of Madhyadesa. The city retained its importance at least up to the sixth century A.D.,as it was visited by the Chinese pilgrims Fa-Hien and Yuan-Chwang. The ruins of the well-known site of Kaushambi (25o20’ 30”N., 81o23’12”E.) are situated on the left blank of the river Yamuna at a distance of 51.2 km from Allahabad in a south-westerly direction. The remains of the ancient city viewed from a distance give the impression of an imposing hillock, which, when approached nearer, reveals itself as a chain of rolling mounds, standing high above the surrounding plains, girdled on the south by the Yamuna. The Vindhyan range across the horizon at not a great distance beyond the river Yamuna provides the southern frame of the Panorama. The chain of mounds has a peripheral circuit of about 6.45 km. The rampart proper has an average height of 9 to 10 meters from the surrounding from the field-level. The towers or the bastions, however, are considerably higher, those in the north-western corners being as high as 21.33m. The fortified city forms an irregular oblong on the plan. The city was provided with gates on three sides-east, west and north. The location of the southern gate can not be determined on account of the erosion caused by the Yamuna. Besides the bastions, gates and sub-gates, the city was encircled on three sides by a moat, which, though filed up at places, it still discernible on the northern side. At some points, however, there is evidence of more than one moat. The defences of Kaushambi betray an advanced knowledge of fortification. At places the gates are provided with curtain-walls on the outside, the same being best illustrated near the eastern gate. The entire city, thus encircled by the rampart wall and moat, is littered with a huge mass of brickbats indicating the density of structures in the city. With the passage of time, The habitation levels inside the city went on rising and an approximate thickness of 17m of habitation deposit furnishes the vertical record of city’s life and antiquity.